Research and Development Department, Kylane Laboratoires S.A., Plan-les-Ouates 1228, Switzerland. During the last 2 decades, the popularity of hyaluronic acid (HA) fillers for soft tissue augmentation has considerably increased across the globe. HA fillers are now recognized to be the gold standard to treat signs of facial ageing, i.e. to fill wrinkles and skin depressions, or to shape the volume of the face. In this context, many scientific and clinical studies have demonstrated the safety, the performance and the existing differences between the available HA fillers of the market. 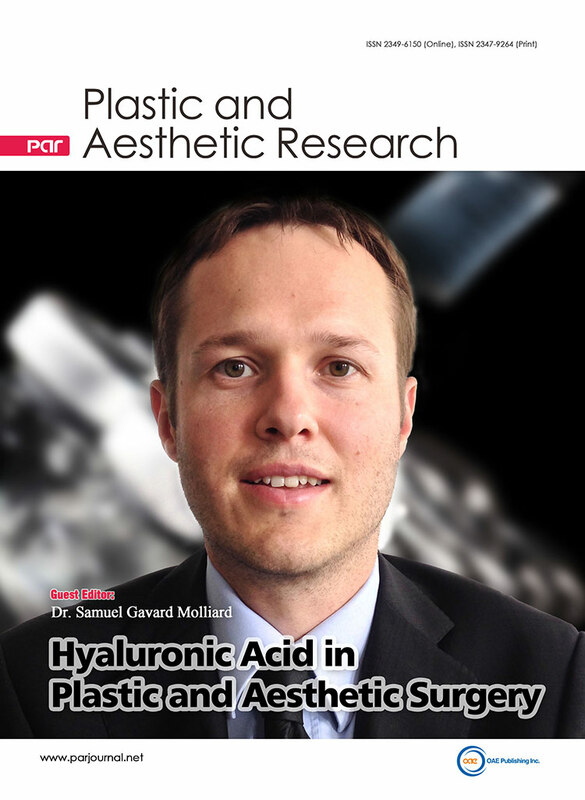 The aim of this special issue is to inform physicians and experts about the new findings and trends in the HA fillers field in Plastic and Aesthetic surgery. - New trends in the field of the HA for Plastic and Aesthetic Surgery such as new clinical indications or new injections techniques with HA fillers. HA filler, face, body, safety and performance, aesthetic and medical applications, reconstructive surgery, new trends.